"RNAstructure: software for RNA secondary structure prediction and analysis." J.S. Reuter and D.H. Mathews. "IDT SciTools: a suite for analysis and design of nucleic acid oligomers"
Nucleic Acids Res. 2008 July 1; 36(Web Server issue): W163–W169. Published online 2008 April 25. Golden Gate Assembly Primer Designer was designed by Micah Brown and Jackson Spell as a part of the 2013 Davidson College/Missouri Western Synthetic Biology Summer Research Project, under Dr. Laurie Heyer and Dr. A. Malcolm Campbell. This was made possible through the NSF MCB 1120558 and NSF MCB 1120578 grants. This tool designs primers for GGA. Davidson College holds no responsibilty for the effectiveness of the primers generated, and we recommend you double check the results. 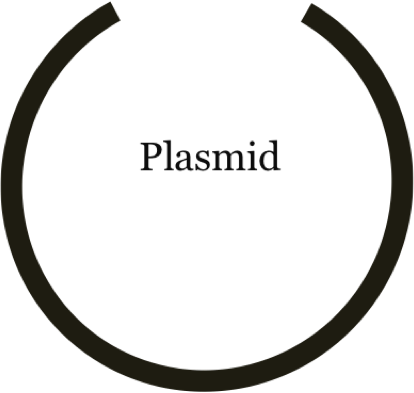 Insert the text of the plasmid sequence. Only plain-text is supported. New-line characters will be automatically deleted. Insert the sequence you wish to insert. Only plain-text is supported. New-line characters will be automatically deleted. Select the restriction enzyme you will use from the drop down menu. Currently, BsaI is the only supported restriction enzyme. 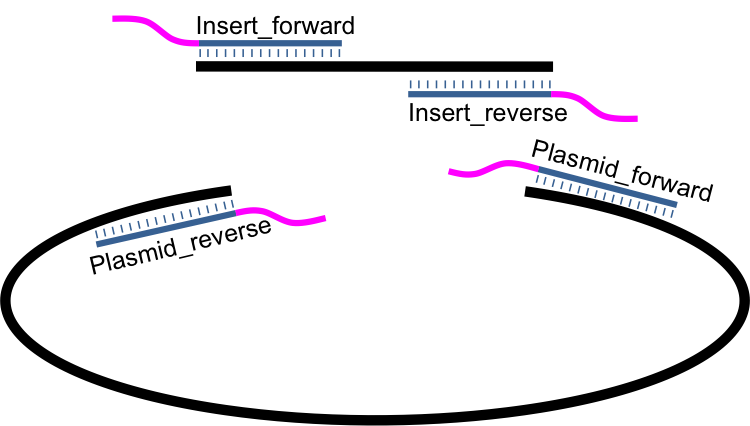 The restriction enzyme is used to generate the specific tag (i.e. GGTCTC). Insert the desired melting temperature. The default value is 50.0°C. If two primers are greater than 5.0°C apart, the one with the lower melting temperature will be elongated until they are within 5°C. Insert the desired primer length. Default value is 20. If melting temperatures differ, the primer length may be altered (elongated) to make the melting temperatures more similar. Insert location of the start of the cut. This index should be the last base pair that you want included. Indices start at "1"
Insert location of the end of the cut. This index should be the first base pair that you want included. Indices start at "1"
Choose the two sticky ends you wish to use. Note that only one letter and one number may be selected. That's it! Submit and collect your results.